MONTREAL (AP) — Gilles Tremblay, a former Montreal Canadiens forward who played on four Stanley Cup-winning teams in the 1960s, has died. He was 75. 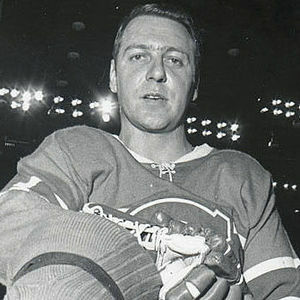 The team announced Tremblay died Wednesday in Montreal. He played his entire nine-year career with the Canadiens, scoring 168 goals and adding 162 assists over 509 regular-season games. Add your thoughts, prayers or a condolence to Gilles' guestbook. "Gilles was my favourite hockey player in the 60s. I had a chance to tell him so in Boston in 1963.... he had 25 goals when I met him on his way to 32 that ..."